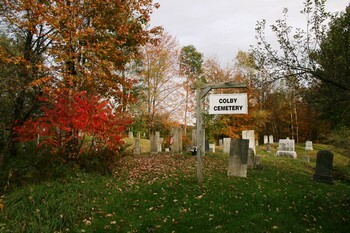 This little cemetery sits atop a hill just off the Junction Road overlooking the Winooski River, Interstate I-89 and Route 2. Across the River is the Town of Middlesex. There is no fence presently around the cemetery.